Sitting on the banks of the River Stour, Canterbury is a historic cathedral city in South East England. Found in the county of Kent, Canterbury has a population of just over 55,000. The local property market offers a wide range of property, from Victorian town houses to modern detached family homes. At My Home Move Conveyancing we have been developing our knowledge of this market since 2002, enabling us to bring our clients in Canterbury a specialist, fixed fee conveyancing service. If you’re buying or selling property in Canterbury, you must instruct the services of a lawyer to complete the legal work on your behalf. 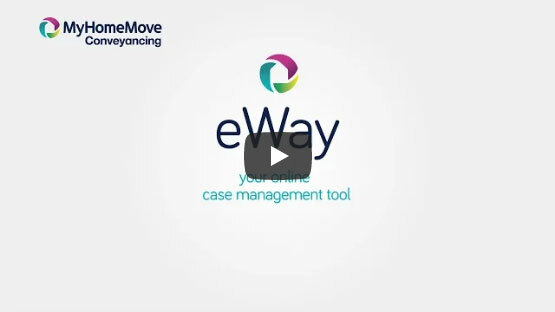 By selecting My Home Move Conveyancing to be your Canterbury conveyancers, you’ll reap the benefits of our award winning customer service, innovative use of technology and intimate knowledge of the local market. You’ll know exactly what you’re going to pay right from the beginning, as our conveyancing service is fixed fee. If you don’t end up moving for some reason, you won’t have to pay us a penny in legal costs. We assign each of our clients a dedicated conveyancer who will oversee your case from start to finish, providing you with a consistent point of contact and regular updates on your progress. At My Home Move Conveyancing we are proud to assist clients with our conveyancing services in Canterbury, including those looking for something central with a village feel in the area close to the cathedral, or a suburban haven in the Old Dover Road area. The average house price in Canterbury is £264,197. Over the past year, terraces were involved in the most sales, going for an average of £291,202. Flats fetched £208,480, while semis sold for £259,228 and detached properties for £475,672. Canterbury is a picturesque spot that retains a small town feel despite having one of Kent’s most thriving economies. With the River Stour running through town and endless miles of countryside surrounding it, Canterbury is the perfect place to live if you want to live somewhere that retains an old world market town feel yet has plenty of modern amenities. There’s even a bohemian flavour to the northern quarter, where you’ll find plenty of quirky shops and inviting bars, cafes and restaurants. The close proximity to the coast is another of Canterbury’s major draws, as it’s only around seven miles to seaside spots such as Whitstable. Margate, Dover and Folkestone are all close by, with a good network of A roads if you have a car. It’s also just under 60 miles to London, with trains to the capital taking less than an hour. If you live near Canterbury West and work close to St Pancras station, then the commute is very much doable on a daily basis. Families will be pleased to learn that there are some highly rated schools in the area, including St Peter’s Methodist Primary, Wickhambreaux CofE and Wingham Primary for younger children. Options at secondary level include Barton Court Grammar, the Simon Langton Grammar Schools for Boys and Girls, and the Canterbury Academy on Knight Avenue. There are also four universities with a presence in town, including the University of Kent. All properties in Canterbury will fall within one of the following council tax bands.